While I was celebrating my wonderful dad's birthday this weekend, London Fashion Week was happening and from the looks of it, it wasn't one bit disappointing. From Mulberry to Matthew Williamson to Burberry and Vivienne Westwood, the fashions in London were even more amazing than I expected! Here are some of my favorite looks! 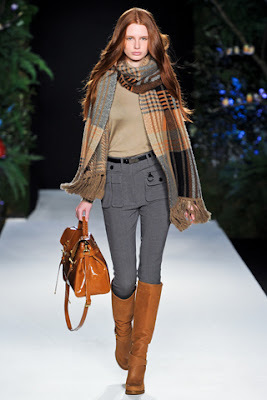 OBSESSED with those brown boots at Mulberry! It's official. my new favorite color is orange! Burberry nailed it! What are your favorite looks? ?